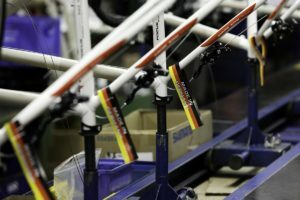 Would No-Brexit Deal Lead To Bargain Basement UK Bike Industry? LONDON, UK – The UK’s options post-Brexit are becoming more clearly defined as the negotiating deadline ahead of the UK’s actual withdrawal in March 2019 looms large. Bike Europe have looked at the latest UK trade stats for January to July 2018 to see what the implications might be of a no deal scenario, most particularly the tariff implications for the UK bike industry. Not surprisingly, imports of regular (i.e. not electrically assisted) bikes from outside the EU made up the vast bulk of bikes coming into the country, totaling 1.2 million units. EU arrivals with the same commodity code stood at just under 200,000. Assuming this rate of bike imports continues for the remainder of the year would mean the 2018 total would fall short of the 2.8 million units imported in 2016 and 2017, suggesting that non e-bike sales may again be on the slide. 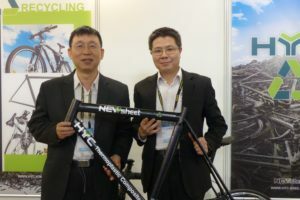 By contrast e-bike imports and arrivals for the first 7 months of 2018 totaled around 43,000 – a higher per month figure than the 62,500 e-bike imports and arrivals that took place over 2017. Here EU arrivals of e-bikes made up a much more significant percentage of the total, some 16,000 or 37% – compare that to the EU arrivals total of ‘regular’ bikes at around 15%. 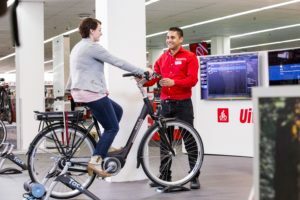 Add to this a brief analysis of value and a different picture begins to emerge, reinforcing the financial importance of e-bike arrivals from the EU into the UK. 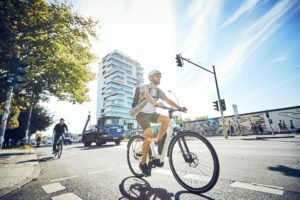 Although overall value was only GBP 13 million for 2018 e-bike arrivals to date, compared to the nearly GBP 190 million value of all non e-bikes imported, it should be borne in mind that the average declared value of an EU e-bike was around 5.5 times as much as the average declared value of a non e-bike. 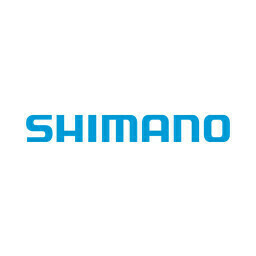 As a bike retailer which would you rather be selling – a high ticket item in a growing market or a relatively low value item in a declining (or at best stagnant) one? And so back to the possibility of a no-deal Brexit. 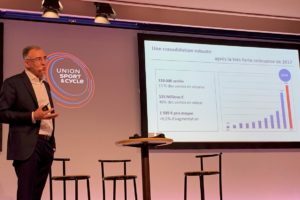 Although generalisations are always dangerous and no-one can see into the future, it seems this analysis suggests that a no-deal Brexit could, from a tariff point of view at least, put the brakes on the high growth, high ticket EU e-bike area and encourage a race to the bottom in terms of price and quality. The reversion to World Trade Organisation rules that would happen under a no-deal Brexit would bring extra tariffs into play on EU arrivals of around 15%, not to mention the potential lapsing of the enormous EU anti-dumping tariffs that could also occur through no-Brexit. Clearly for the bike industry, as for many others, a lot may hinge on the final phases of Brexit negotiations. 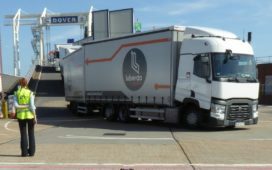 Note on terminology: Imports refers to products coming into the UK from outside the EU and arrivals to products coming into the UK from within the EU.